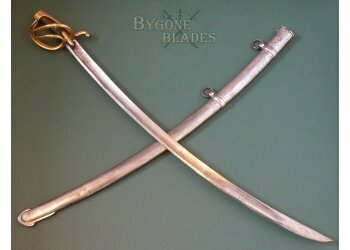 Year or model XI sabres usually have blades forged at Klingenthal and sabre markings follow the standards of the factory. For a while, during the period of French control of the Rhineland Confederation, 1807-1814, some sabres were produced in Solingen by Kirschbaum and Schimmelbusch and are marked accordingly. 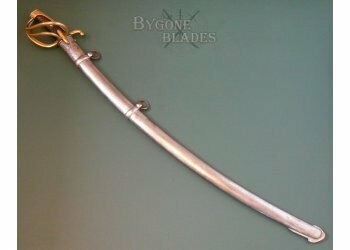 Some rarely encountered sabres were marked AP (L' Atelier De Paris). 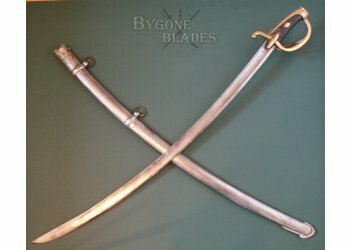 With France being in a constant state of war, the government arsenals could not keep up with demand so purchased swords from private manufacturers. 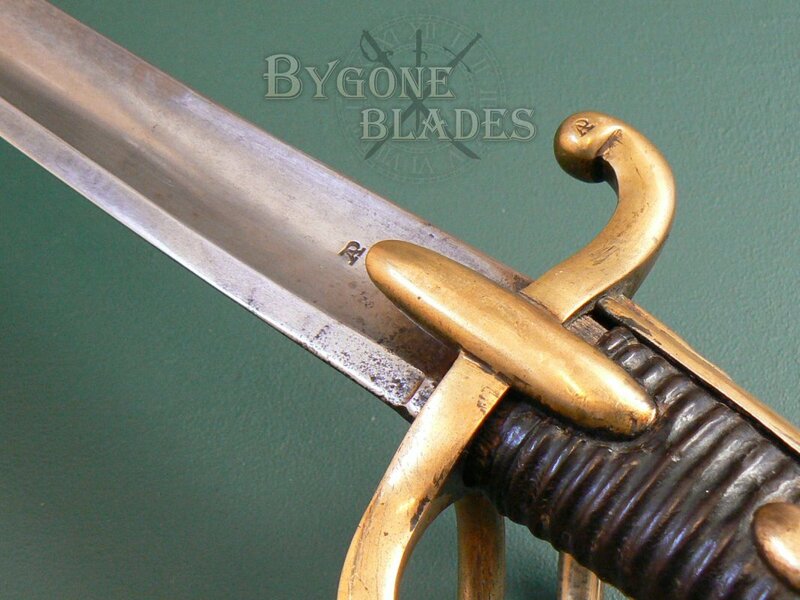 These swords were proofed at the Ateliers de Paris and if accepted were stamped with an AP. 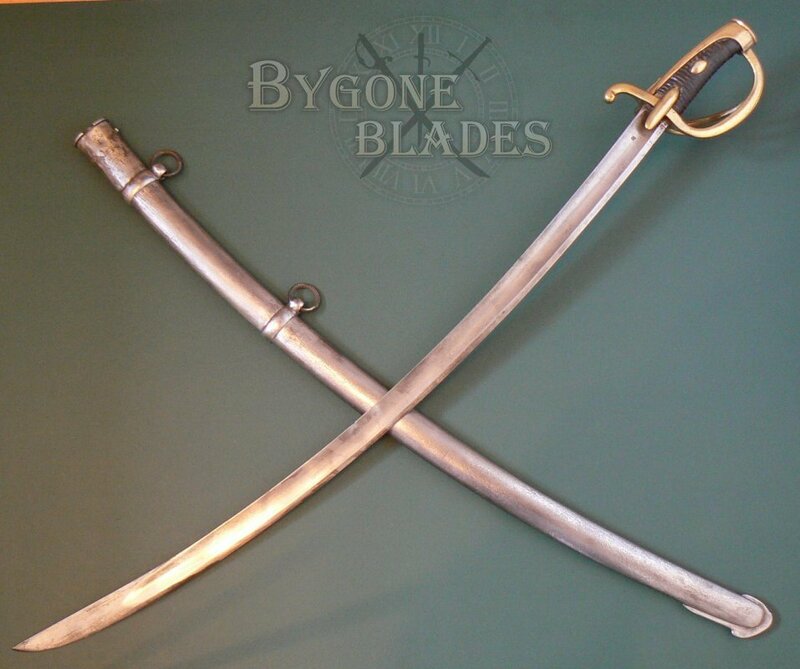 Production of these sabres occurred from 1803 to 1814. 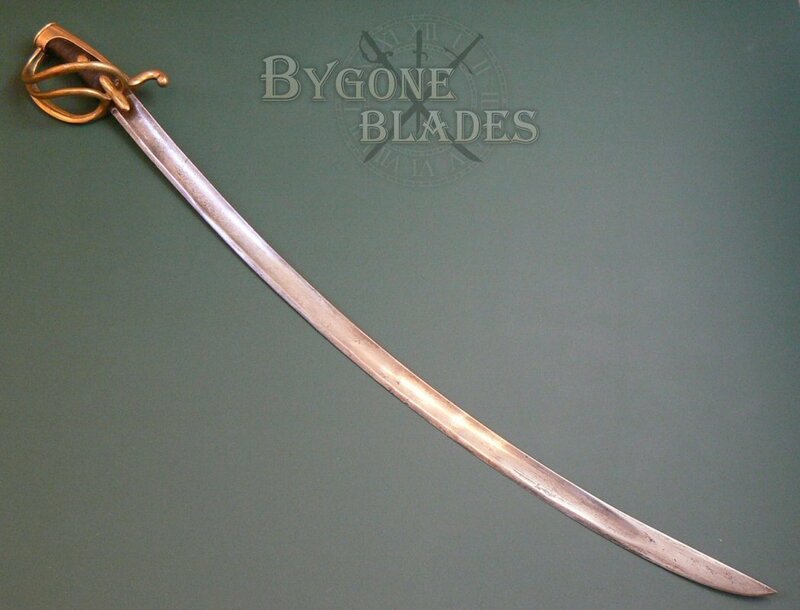 The 880mm curved blade has a broad, flat spine and wide, shallow fuller. 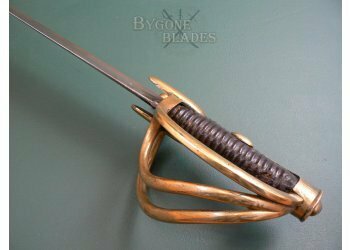 The blade ends in a hatchet point. 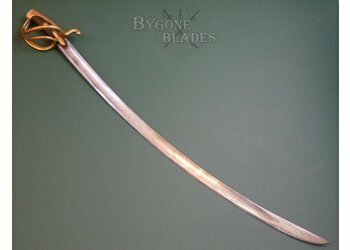 The blade is in great condition with very mild tarnish and some speckles of shallow pitting. 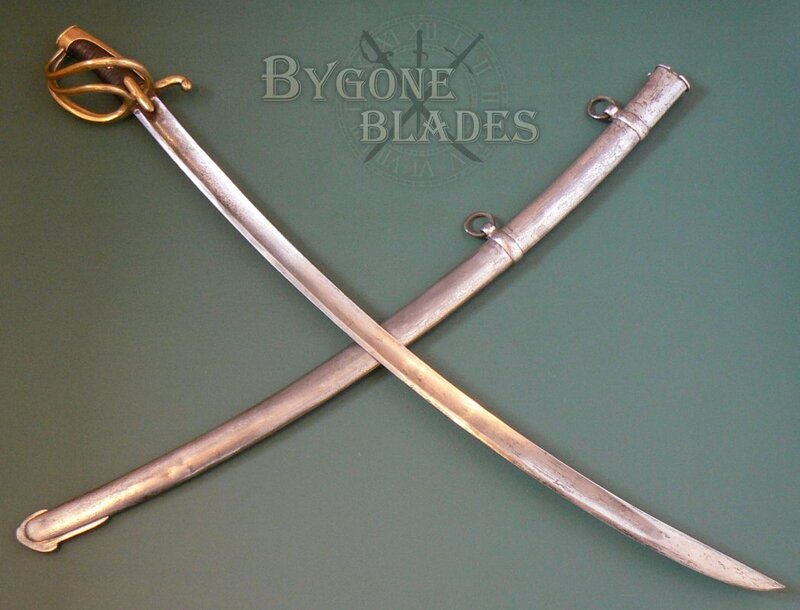 The edge and spine have a few nicks consistent with fighting use. The blade bears an “AP” stamp. The three bar guard has long, lozenge shaped languets and a leather and cord wrapped wooden hilt with “half olives.” There has been some shrinkage to the leather wrap, consistent with age. The guard is of gilded bronze alloy called Arco. The ball quillon bears an “AP” stamp. The blade is firm in the hilt and the guard and grip are in great condition. 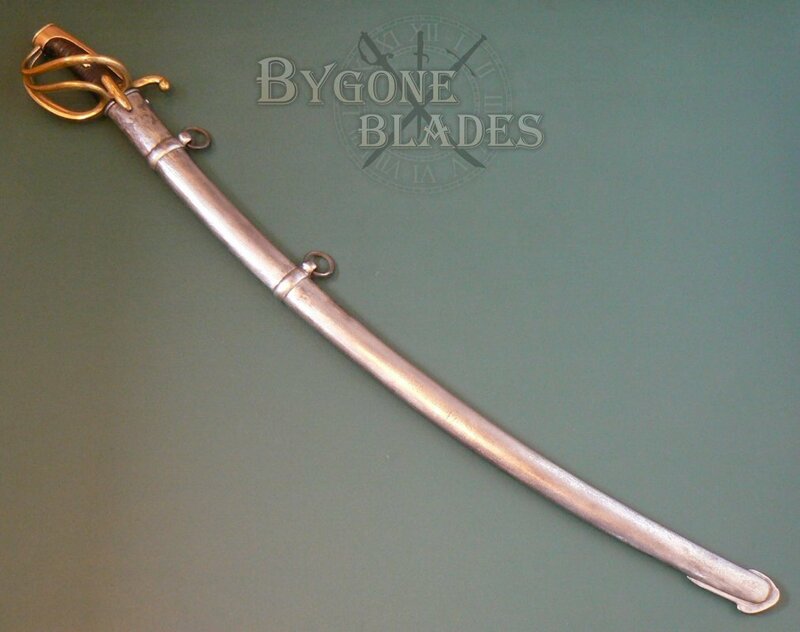 The sabre is complete with its original heavy steel scabbard. 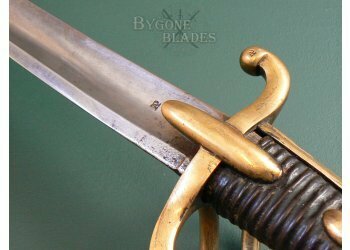 The scabbard is in excellent condition. 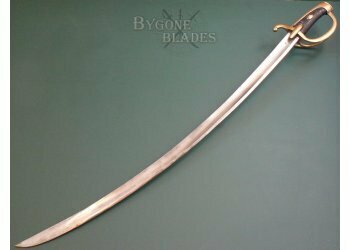 The sword sheathes and draws smoothly and is held firmly within the scabbard. 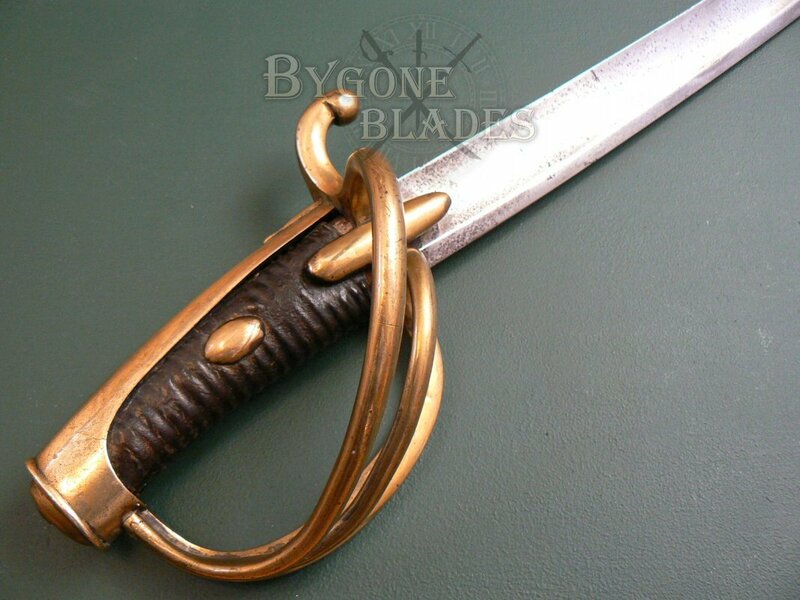 The scabbard has a good age patina with patches of darker tarnish. The throat of the scabbard is marked with the number 28 over the letter E. The mouth is marked with XI and the first suspension band bears the number 55. 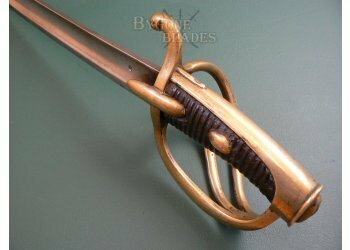 This is a rare and guaranteed genuine Napoleonic light cavalry sabre in very good condition. This sabre is one of a collection of Napoleonic swords that I have recently purchase from a private collection. 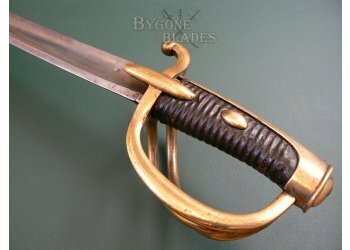 The sabre dates to between 1803 and 1814 and is uncleaned and fresh to the market.